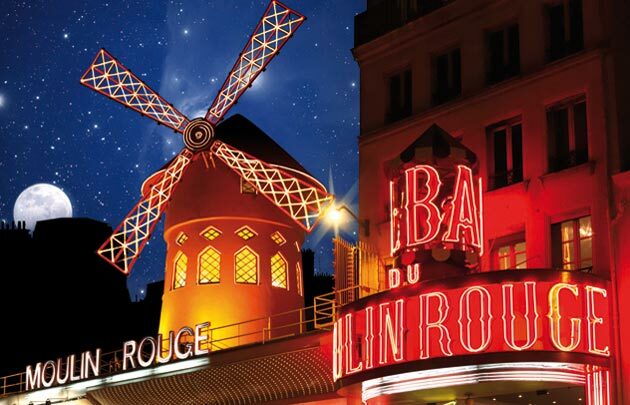 This pass will allow you to take a tour of Paris on a panoramic bus whenever you like and to enjoy a fantastic evening at the Moulin Rouge which includes dinner and the “Féerie” show. The Paris city tour will introduce you to the most iconic sights in the capital. Hop aboard a comfortable, air conditioned motor coach and listen to a presentation on Parisian history in the language of your choice through individual headphones. This tour of Paris is perfect for seeing all the essential spots in the blink of an eye. The route will travel over the magnificent bridges that traverse the Seine, pass through the great neighborhoods of Paris such as the Champs Elysées and Saint-Germain-des-Prés, and pass before the most famous monuments, including the Paris Opera, the Louvre, the Musée d’Orsay, the Arc de Triomphe and Les Invalides. Don’t forget to contact us to book your city tour. 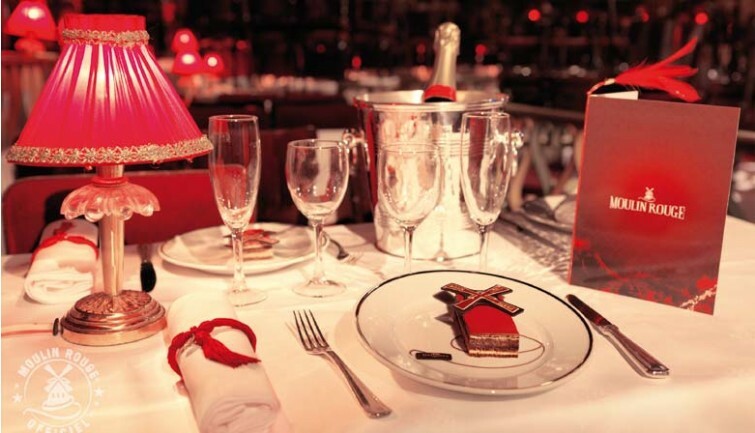 The staff at the Moulin Rouge will treat you to a magical evening. You will feast on the “Mistinguett” menu developed by Chef David Le Quellec, awarded by the Moulin Rouge entrance to the Gault et Millau. Traditional French cuisine will be served alongside a half-bottle of wine or champagne, depending on the option you choose. 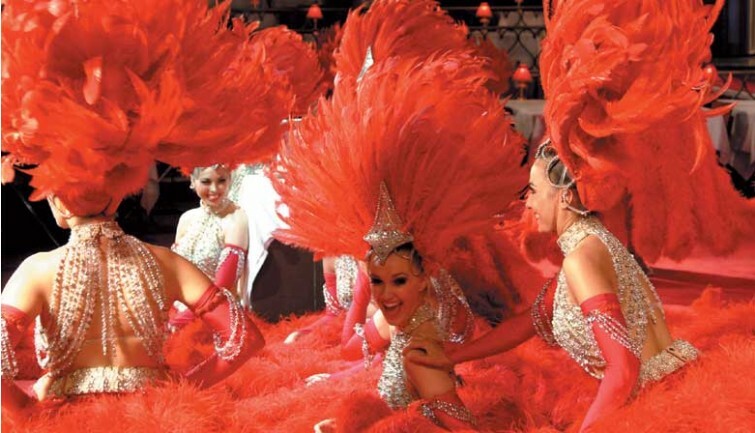 After a delicious dinner, you will watch the spectacular “Féerie” show at this legendary Parisian cabaret. 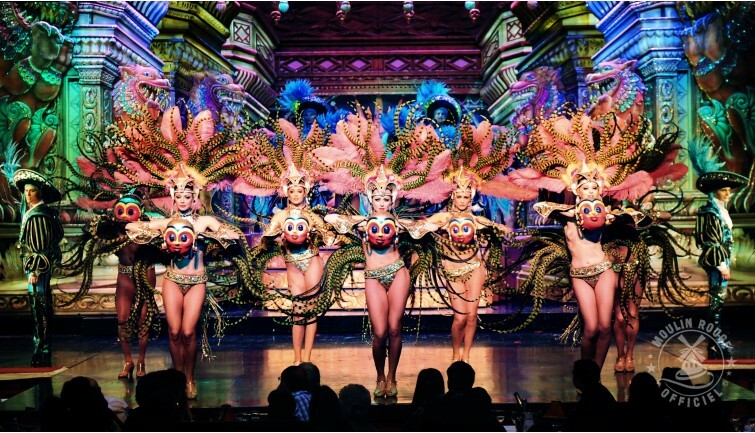 You will marvel at the beauty of the Doriss Girls and their lavish costumes, not to mention the sumptuous decor which showcases the stage and lends the room a singular atmosphere. The performances unfurl at a boisterous pace: you will be blown away by the numbers ‒ each more extraordinary than the last ‒ set to recorded music and live music played by an orchestra of 80 musicians and 60 chorus members. 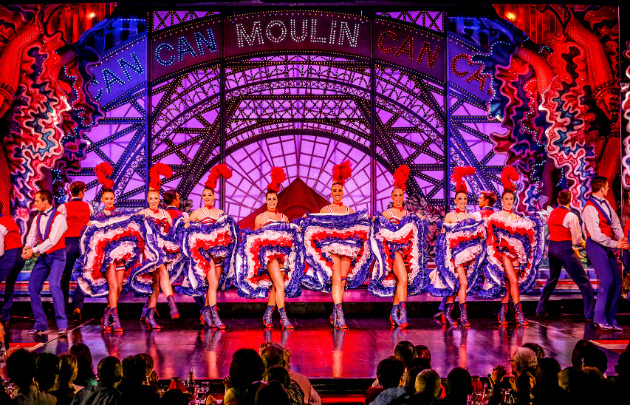 You will leave the cabaret with a head full of gorgeous tableaux and memories of a delightful evening. * Please contact our reservations office by phone ((+33. (0)1.44.55.60.00) or email (resa@pariscityvision.com) to book your Paris city tour.